Eating three or more servings of blueberries and strawberries per week may help women reduce their risk of a heart attack by one-third – according to research from the University of East Anglia in collaboration with the Harvard School of Public Health. 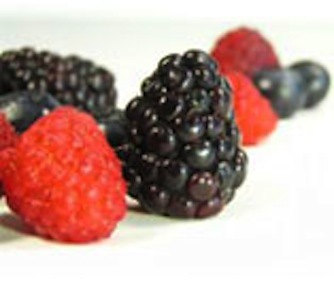 Although its already known that these berries contain high levels of powerful anti-ageing bioactive compounds called anthocyanins (a sub-group of dietary flavonoids), the new research comfirms their health benefits. Research published today in Circulation: Journal of the American Heart Association shows that these anthocyanins may help dilate arteries, counter the build-up of plaque and provide other cardiovascular benefits. Scientists from UEA’s Norwich Medical School and Harvard School of Public Health (US) studied 93,600 women aged between 25 and 42 who were registered with the Nurses’ Health Study II. The women completed questionnaires about their diet every four years for 18 years. During the study, 405 heart attacks occurred. Women who ate the most blueberries and strawberries had a 32 per cent reduction in their risk of having a heart attack compared to women who ate the berries once a month or less – even in women who otherwise ate a diet rich in other fruits and vegetables. The study was lead by Prof Aedín Cassidy – head of the Department of Nutrition at UEA. She said: “We have shown that even at an early age, eating more of these fruits may reduce risk of a heart attack later in life. This is the first study to look at the impact of diet in younger and middle-aged women. “Blueberries and strawberries contain high levels of compounds that have cardiovascular benefits, and our study shows that women who ate at least three servings per week had fewer heart attacks. “The findings were independent of other risk factors, such as age, high blood pressure, family history of heart attack, body mass, exercise, smoking, caffeine or alcohol intake. Until more information about specific dietary constituents like flavonoids is available and fully understood, the American Heart Association recommends eating a balanced diet containing a wide variety of fruits, vegetables and whole-grain products. Eating a variety of foods is the best way to get the right amounts of nutrients. The study was funded by the National Institutes of Health and the Biotechnology and Biological Sciences Research Council. Co-authors are Kenneth J. Mukamal M.D. ; Lydia Liu M.Sc. ; Mary Franz M.Sc. ; A. Heather Eliassen Sc.D. ; and Eric B. Rimm Sc.D. New Orleans: New research has revealed that blueberries may contain phytochemicals that reduce several cardiovascular disease risk factors. The discovery was made during a study performed in laboratory rats. While the animal findings suggest blueberries may be protective against two health conditions that affect millions of Americans, more research should be done. The researchers studied the effect of blueberries (freeze dried blueberries crushed into a powder) that were mixed into the rat diet, as part of either a low- or high-fat diet. They performed many comparisons between the rats consuming the test diets and the control rats receiving no blueberry powder. All the rats were from a research breed that is prone to being severely overweight. In all, after 90 days, the rats that received the blueberry-enriched powder, measured as 2 percent of their diet, had less abdominal fat, lower triglycerides, lower cholesterol, and improved fasting glucose and insulin sensitivity, which are measures of how well the body processes glucose for energy. While regular blueberry intake reduced these risks for cardiovascular disease and metabolic syndrome, the health benefits were even better when combined with a low-fat diet. In addition to all the other health benefits, the group that consumed a low-fat diet had lower body weight, lower total fat mass and reduced liver mass, than those who ate a high fat diet. An enlarged liver is linked to obesity and insulin resistance, a hallmark of diabetes. The rats in the study were similar to Americans who suffer fatty liver disease and metabolic syndrome as a result of high-fat diets and obesity. Metabolic syndrome is a group of health problems that include too much fat around the waist, elevated blood pressure, elevated blood sugar, high triglycerides, and together these conditions increase the risk of heart attacks, strokes and diabetes. New Jersey: Blueberries may prevent colon cancer, a new US study has discovered. The fruit which has already been labelled a “superfood” because it contains the anti-ageing compound pterostilbene, which could prevent cancer in humans. Scientists at Rutger University in New Jersey and the US Department of Agriculture said that a pilot study on rats showed that those fed the anti-ageing compound had 57% fewer pre-cancer lesions in their colons. They carried out the experiment on two groups of rats all of which were fed a cancer causing compound called azoxymethan – the group given pterostilbene had least cancer. Dr Bandaru Reddy, a professor of chemical biology at Rutgers said the blueberry compound was not a cure for cancer but might offer protection against the disease in humans. It also appeared to reduce the rate at which cancer cells proliferate and inhibited certain genes involved in inflammation. As well as having anti-ageing properties blueberries are also thought to help with memory loss. There are many women out there who want to keep their youth and vitality but shy away from the doctor’s needle and scalpel. This book will help you discover that the right foods can slow down many of the ageing processes and keep you looking good and feeling great whatever your age. Foods can be powerful weapons in the battle against many of the visible effects of ageing, such as wrinkles, and also those you can’t see, such as damage to the heart and eyes, osteoporosis, arthritis, diabetes and high blood pressure. Choosing the right foods will help to protect against such conditions as well as strengthening your immune system, increasing your resistance to colds and other infections, and also boosting your energy levels and improving physical and mental performance. Ageing is inevitable but ageing well is an art. If you want to stay fitter, live longer, feel better and look younger in later life, now is the time to invest in your future good health. With recipes for each, Sarah Merson reveals 100 tried- and-tested foods which will keep you looking and feeling fabulous.